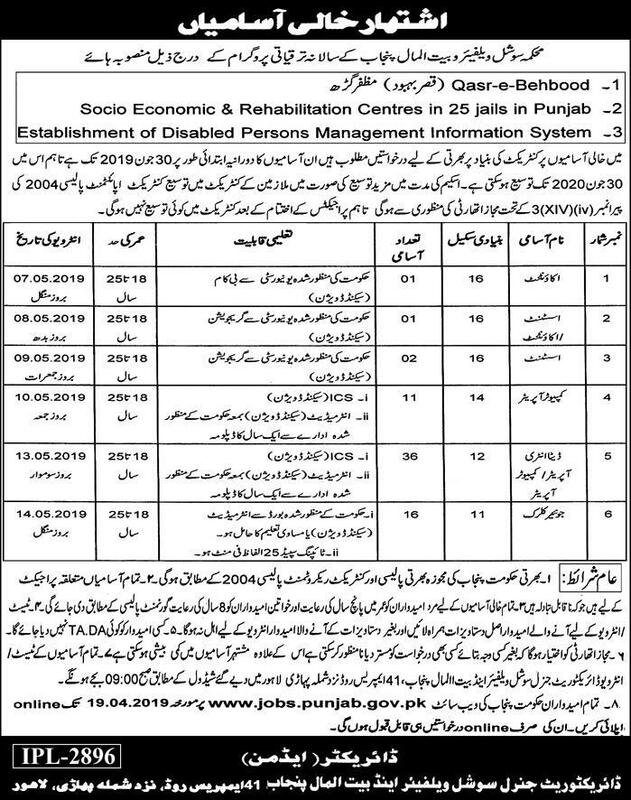 Jobs Description: Social Welfare Department Punjab Jobs March 2019 are listed below in our site. The Government of Punjab recently announced an advertisement for Jobs of Accountant, Assistant Accountant, Assistant, Computer Operator, Data Entry Operator, and Junior Clerk in the Social Welfare Department. Social Welfare Department Punjab has required the applications for the following jobs. How To Apply: The interested candidates may apply online through the Punjab Job Portal (https://www.jobs.punjab.gov.pk/) website.